HAS THE GARGAMEL AND SON REUNITED? 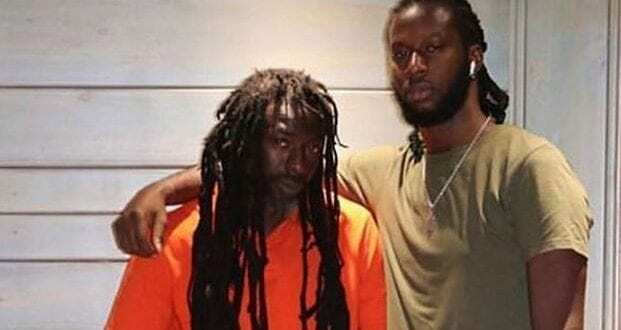 What had look like a vendetta between Buju Banton and son Markus Myrie, Markus has now put the public in hopes that the two just have might reconciled their differences over the weekend, with Markus posting a picture via his Instagram story status of him and his father Buju together. Moving on from all negativity with him and his father, throughout Buju’s being in isolation for the past seven years and upon his release, the two hasn’t been seeing eye to eye. It was even rumored that the two were in an altercation over the past week and Buju had physically assaulted Markus by hitting him in the face. Markus Myrie then went on to filed an assault report towards his father Buju Banton, this report was made Last Friday at the Constant Spring Police Station. With sources confirming the incident. It had depicted a strong image in the minds of the public that both father and son won’t be burying the hatchet anytime soon. However it now seems that the then ‘Unapologetic’ son has now gone back on his last posts and statements. Seemingly there has been a sudden change of course between the Not a Easy Road singer and his son, just hours ago Markus posted on his Instagram status a picture of him and his father together.